Learn / Pioneers Gallery / Knapp, Ira O. Portrait by John C. Johansen. A gift from The First Church of Christ, Scientist, in Boston. IRA O. KNAPP was for many years a teacher and school superintendent, as well as a farmer, and was active in the public affairs of Lyman, New Hampshire. In 1884, after his wife Flavia was healed of chronic invalidism by Christian Science, he turned wholeheartedly to the study of Science and Health, together with his much-loved Bible. In December of that year, he and Mrs. Knapp had Primary class instruction with Mrs. Eddy at the Massachusetts Metaphysical College and began to practice Christian Science in their own community. Mrs. Eddy visited them in Lyman in 1888, and soon after the Knapp family moved to Roslindale, a town on the outskirts of Boston. Seven years later they moved into downtown Boston. Mr. Knapp was among the first members of the Bible Lesson committee appointed by Mrs. Eddy. 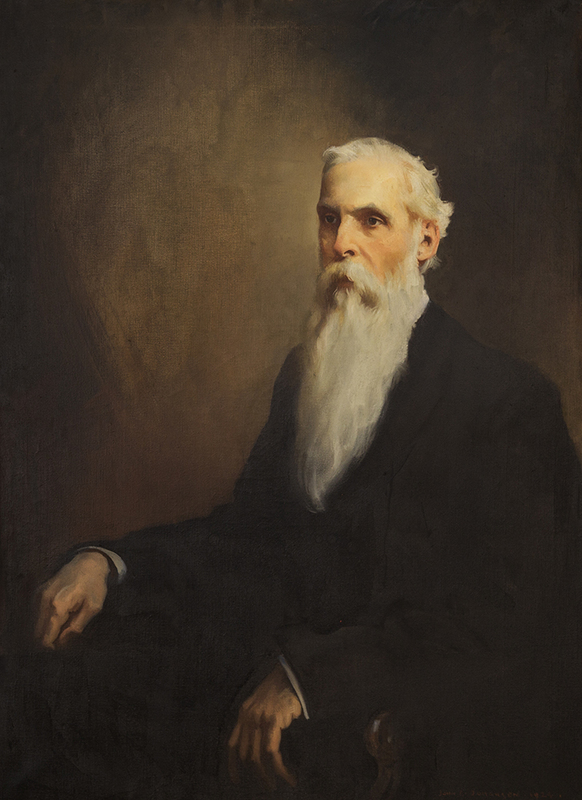 He played an important role in protecting the land acquired for building the Original Edifice of The Mother Church, and when The First Church of Christ, Scientist, was formed in September 1892, Mrs. Eddy appointed Ira Knapp as one of the four Directors named in the Deed of Trust, a position he held until 1910.